The paper Illuminating Innovation: From Patent Racing to Patent War, by Lea Shaver, is a draft of an article to be published in the Washington and Lee Review, is another example of the deteriorating state of academic research. First, I will examine the primary hypothesis of the paper and second I will examine the factual errors and inherent biases of the paper. For more than two centuries, U.S. patent law has assumed that patents promote innovation. Yet for all the profound impact that patent law has on industry and society, we have little empirical evidence to test this “innovation assumption.” In fact, there are good reasons to believe that patents may also impede innovation, by creating barriers to competition. Really? How about the clear differences between countries that have patent systems versus those that did or do not. In the early 1800s the strongest patent systems in the world were in the US and England, which were the leaders of the Industrial Revolution. The Industrial Revolution was really an invention revolution as the book The Most Powerful Idea in the World: A Story of Steam, Industry, and Invention, by William Rosen documents. Why didn’t this innovation occur in Africa, or the Middle East? They did not have an anticompetitive patent system? Or even why didn’t it occur in France or Germany or Japan? There is also strong empirical evidence that human beings did not escape the Malthusian Trap until the advent of a patent system, which are property rights in inventions. The only way to increase real per capita income is by increasing our level of technology. This has been shown by such diverse economists as Robert Solow, Paul Romer, Jacob Schmookler, and Gregory Clark. The first large group of people to escape the Malthusian Trap were the English and the Americans. Japan did not escape the Malthusian Trap until they copied the US’s patent system. For more information see The Source of Economic Growth. Ms. Shaver completely ignores the work of economist B. Zorina Khan, who has undertaken an extensive survey of the effects of patents on innovation. But she does cite her work while ignoring its conclusions. For those interested in a true academic study of the history of patent law in the US see the book The Democratization of Invention: Patents and Copyrights in American Economic Development, 1790-1920 (NBER Series on Long-Term Factors in Economic Development) by B. Zorina Khan. Note I do not agree with all of Professor Khan’s conclusions, but it is an extremely well researched book. Both the development and dissemination of technology occurs at a more rapid rate in those countries that have the strongest patent laws. The empirical evidence is overwhelming that stronger patent system results in increase innovation and wealth creation. Professor Lea Shaver’s statement that there is a lack of empirically evidence is outrageous and shows that the professor’s paper is really a propaganda piece. This paper is so full of factual errors, distortions, and propaganda that it is impossible to point them all out or correct them. But it is necessary to point out at least some of them, so that they do not go unchallenged. These errors and distortions are pointed out in roughly the order they were brought up in Professor Shaver’s paper. Patent law assumes that stronger protection boosts innovation, yet empirical evidence to test this “innovation hypothesis” is lacking. It is a story of corporate maneuvering and high-stakes litigation, as Thomas Edison and his competitors employed patents as weapons in their battle to dominate the electrical industry. What does the author believe patents are for? Does she believe people collect patents like blue ribbons without any business goals? Does the author believe it is wrong for the owner of a factory use it to dominate a market? Does she understand the purpose of property rights is to enhance the owner’s ability to increase production and lower costs? In other words, does this so-called professor of law understand the purpose of property rights? Since this statement is in the author’s introduction, it is clear that she has a bias before she has even examined the facts. The smartphone is today’s light bulb. A complex machine, developed through the collaborative and competitive efforts of many engineers, rather than a single mythological inventor. This shows the author’s bias against the light bulb, which she calls a “humble device.” I doubt the author could build this “humble device” with the materials that Edison had at the time. I am sure her law and sociology degrees have prepared her for building and understanding technology – not. She also exposes her collectivist ideology when she elevates “collaborative” efforts and suggests that a single inventor is mythological. Patent law is a tremendously influential aspect of modern economic regulation. Patent law is not economic regulation it is the property law of inventions. It recognizes the simple fact that but for the creator, the invention would not exist. It is hard to believe how incredibly corrupt our academic institutions have become, but Ms. Shaver sums it up in one sentence. Let me translate this academic BS. Ms. Shaver is suggesting that objective and accurate explanations are UNDESIRABLE. Well we can start with your paper Ms. Shaver, it is clear that you have no interest in being accurate or objective, your conclusions are based on your feelings not on the facts. The paper and bandwidth to print your drivel is an extravagant waste of the individual human greatness that created the Internet, computers, electronics, incandescent light bulbs, and the printing press. Ms. Shaver’s dishonesty knows no bounds. She cites Adam Mossoff’s paper on the sewing machine as support for her anti-patent tirade. Adam Mossoff discusses how the markets were able to clear the patent rights of sewing machine inventors, but Ms. Shaver pretends his article supports limiting patent rights. In the case of the light bulb, these long-term dynamics included massive litigation, the consolidation of a previously competitive industry, and a half-century lull between when incandescent light technology was first patented and when it finally became widely accessible to the American public. Ms. Shaver complains how long it took to disseminate this technology in the US. Did the electrical light technology disseminate faster in China or India or Saudi Arabia, which had did not patent rights at the time. No. In fact, this technology was disseminated faster in the USA than anywhere else in the world, which had the strongest patent protection in the world. But this does not fit Ms. Shaver’s narrative and so she ignores these clear facts. Even today, British schoolchildren are taught that Joseph Swan, not Thomas Edison, won the race to invent the light bulb. What children are taught is not relevant to understanding of how patent law works. There is a difference between the historian and the patent attorney. If Ms. Shaver had consulted a patent attorney, which she is not, she would have learned that Swan invented a low resistance, short lived light bulb that had no commercial application and Edison had invented a high resistance, long lived light bulb, with immense commercial potential. But I doubt Ms. Shaver, whose prelaw education was in Sociology could even understand why a high resistance incandescent light bulb was so important. For those of you who do not have a technical background a low resistance filament meant that you needed copper cables with very large diameters to even light a city block. The cost of these large copper cables meant Swan’s incandescent light bulb was limited to being a laboratory curiosity. Ms. Shaver then makes this bewildering statement. Once electric light was ready for commercialization, many companies competed with Edison’s in the marketplace. 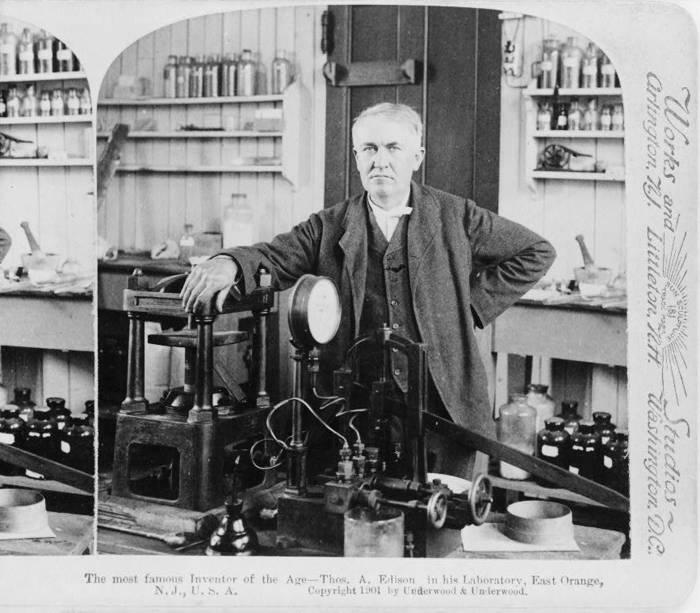 Compared to his rivals, however, Edison was particularly successful in litigating his patents. Perhaps this was because Edison was the inventor of the light bulb and many other things that made it practical invention, including inventing an improved dynamo, fusing systems, electrical connectors including the standard light bulb socket still used today. Why does Ms. Shaver believe Edison invented these? So his competitors could steal his inventions? To help out his competitors? Of course, Edison litigated when his competitors stole his technology. Ms. Shaver clearly does not understand the role of property rights in free society. She also does not understand merit or cause and effect. According to Ms. Shaver, failing to share your property with people who did not produce it is anti-competitive. A phrase she uses several times in the paper. In case after case, Lemley’s article illustrates, multiple inventors, working on the same technological problem, have arrived at the same solution at nearly the same time. Mr. Lemley’s lack of understanding of both the underlying technologies and the law shows he has no idea of what an invention is. His conclusions about simultaneous inventions is not supported by the facts or the literature. For more information, see the economist’s Jacab Schmookler’s book, Inventions and Economic Growth, where he examined this nonsense of simultaneous inventions. Professor Lemley’s lack of technical knowledge leads to his lack of understanding of the difference between inventions. For instance, he does not understand the difference between a patent for a low resistance incandescent light bulb and a high resistance light bulb. He does not understand the difference between a patent on high resistance light bulb and a socket for connecting a light bulb to an electrical distributions system. According to Mr. Lemley these are all simultaneous inventions. Mr. Lemley is another complete charlatan, who pretends to undertake academic research, but is actually is a propagandist who would make Joseph Goebbels proud. Then Ms. Shaver suggests that the invention of the light bulb was inevitable. From the perspective of market incentives and of technological groundwork already laid, therefore, a commercially practical light bulb may have been a near inevitability. If it was inevitable why did the invention of the light bulb occur in the US and not in France or Russian or Ecuador? Why did it occur in the nation that had the strongest patent laws protecting the rights of inventors? Ms. Shaver ignores the obvious. Despite all this support in the historical record, Lemley’s theory of patent racing has been vehemently disputed by business professor John Howells and his co-author, Ron D. Katznelson. These critics specifically take issue with Lemley’s use of the light bulb as an example of incremental invention. They argue that Edison’s contribution in fact “unlocked the field,” cannot be placed on a par with contributions by any other inventor, and was deserving of a “pioneer” patent. My own closer examination of the light bulb case puts me on the side of Lemley rather than his critics. Ron Katznelson has a PhD in electrical engineering and has been the founder of numerous, successful technology startups. Ms. Shaver has a degree in Sociology and Law and Professor Lemley also does not have a technical background. Basically Ms. Shaver and Mr. Lemley are completely unqualified to make this determination. Her opinion is without any basis. She knows this so she does not actually support her conclusion, she just asserts it. Ms. Shaver goes on to apply her conclusions to the smart phone industry. On the one hand she praise cooperation between competitors and on the other hand she suggests a dominate player is anticompetitive. Isn’t cooperation anticompetitive also Ms. Shaver? Once again Ms. Shaver has shown she is not interested in logic, reason, or a well functioning patent system. She is interested in using any propaganda that will stick to suggest patents are evil monopolies. Ms. Shaver complains that patents lead to monopolies, but ignores the overwhelming evidence that startups rely on patents to protect themselves from larger competitors. For instance, see Tesla whose patent on alternating current allowed Westinghouse to challenge Edison. Countries that have the strongest patent system have the most dynamic markets with new competitors challenging incumbent firms. Weak patent systems not only entrenches the large dominant companies she rails against, but destroys innovation. This paper is a farce and Ms. Shaver is propagandist pretending to be a scholar. If Yale Law School had one shred of integrity it would fire Ms. Shaver immediately. They point out that in the U.S 85% of all patents were licensed by their inventors, while only 30% of patents in Britain were licensed. In the late 19th centuryU.S. inventors were increasingly operating as independent inventors who extracted returns from their discoveries by licensing or selling their patent rights. Among these inventors were Edison, Bell, Tesla, etc. “An astonishing two thirds of all America’s great inventors in the nineteenth century were actually NPEs” (Non-Practicing Entities). But today’s modern Luddites would call these great inventors trolls. They claim all value is created by production and marketing or if they are economists they claim all value is create by manipulating monetary instruments and deny the source of all human values, the mind. They denigrate inventors who demand a return on their efforts as imposing a tax on innovation. Invention is the only source of per capita increases in wealth. Does it really make sense to consider Edison a “patent troll” just because he licensed most of his inventions rather than commercializing them himself? As the inventor of electric light and power, the phonograph, and many other world-changing new technologies, his contributions toAmerica’s economic progress are beyond dispute. Is there any evidence of a patent litigation (troll) explosion? Judge Michel former head of the CAFC, the court which hears all patent appeals, points out that the number of patent suits filed each year has remained constant at less than three thousand. Only about 100 of these suits ever go to trial. In a technology based economy with over 300 million people and 1 million active patents this is trivial. The reality is the Patent troll/ litigation crises is a very clever marketing ploy by large multinational companies that want to be able to steal U.S.inventors’ technology. The America Invents Act will put the final nail in the coffin of U.S.innovation if it passes, by making it even easier to steal U.S. innovation. It is a product of these same multinational companies that are not interested in vitality of the U.S.economy, but in their short term profits. 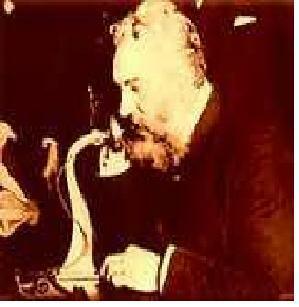 March 7 is the anniversary of Alexander Graham Bell’s patent on the telephone. There is a common misconception that Bell received the patent over Elisha Gray because he was first to the patent office by several hours. This is incorrect. The United States has always had a first-to-invent patent system not a first-to-file system. Let’s hope it stays that way. (Congress is considering changing our patent laws to a first-to-file system, which would be disastrous for independent inventors and small companies.) As a result, it was irrelevant who filed their patent application first. Eventually a number of patents related to the telephone were all involved in an interference, which is a proceeding to determine who was the first true inventor. According to an article in the New York Times dated October 24, 1884, there were originally fourteen parties involved in the interference but only six remained: William L. Voelker (two patent applications), Thomas A. Edison (five applications), Elisha Gray (four applications), John H. Irwin & James W. McDonough (one application), and Alexander Graham Bell (two applications). These patents appear to have covered eleven patentably distinct aspects (counts) of the telephone. One count was directed to the speaker diaphragm, another count was directed to transmitting reproducing sound by increasing and decreasing the strength of an electric current. Bell did not win on all counts. There are number of things that are interesting about this article in the New York Times. For instance, the writer did not feel compelled to explain to his audience what an interference was or what a count in an interference was. I cannot image this being the case in any general interest publication today. Only in a publication specifically directed to patent attorneys would this be true today. It is unlikely that any generally interest publication or even industry specific publication would carry an article on a patent interference. Clearly, inventors and patents were held in higher regard in the late 1800s than today. Another interesting point: there were many patents involved in the invention of the telephone. These overlapping rights had to be resolved to create a functioning telephone system. Any number of patent critics today seem believe we are unique in having multiple patents that apply to a product or system; but at least since the invention of the steam engine it was common to have these overlapping rights. Despite today’s critics , our ancestors were able to deal with these issues and move technology forward. Why is this such a hard concept to reconcile? Almost two hundred years ago, President George Washington recognized that invention and innovation were fundamental to the welfare and strength of the United States. He successfully urged the First Congress to enact a patent statute as expressly authorized by the U.S. Constitution and wisely advised that “there is nothing which can better deserve your patronage than the promotion of science . . .” In 1790, the first patent statute initiated the transformation of the United States from an importer of technology to a world leader in technological innovation. In recognition of the enormous contribution inventors make to the nation and the world, the Congress, pursuant to Senate Joint Resolution 140 (Public Law 97 – 198), has designated February 11, 1983, the anniversary of the birth of Thomas Alva Edison, one of America’s most famous and prolific inventors, as National Inventors’ Day. Such recognition is especially appropriate at a time when our country is striving to maintain its global position as a leader in innovation and technology. Key to our future success will be the dedication and creativity of inventors. In Witness Whereof, I have hereunto set my hand this 12th day of Jan., in the year of our Lord nineteen hundred and eighty-three, and of the Independence of the United States of America the two hundred and seventh. While Reagan’s economic plan is generally thought of as just reducing taxes, he was a strong supporter of policies that encourage invention. He strengthened the patent system by creating the Court of Appeals for the Federal Circuit. All patent appeals were consolidated into the (CAFC) created in 1982. A number of the initial Judges on the CAFC were former patent attorneys and the court brought consistency to patent appeals. The court also took seriously the idea that issued patents are presumed to be valid. These changes signaled a more favorable atmosphere for patents in the 1980’s. Before the CAFC patents were treated differently in each of the federal court circuits. Some circuits had not upheld the validity of a patent in decades. The new court brought a sense of stability to patent law. The 1980’s saw a restoration of America’s economic and technological dominance in the world. 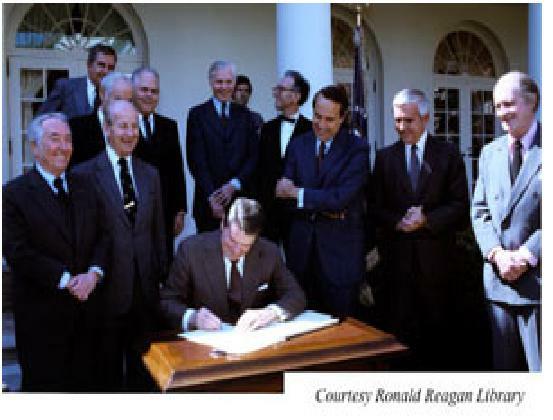 As Reagan’s quote above shows, he understood the connection between a strong patent system and a strong economy and more generally a strong U.S. Today 96% of Americans believe innovation is critical to the success of the US as a world economic leader. Zogby Poll, January 2010. If America wants to be great again, then we have to protect the rights of our inventors. 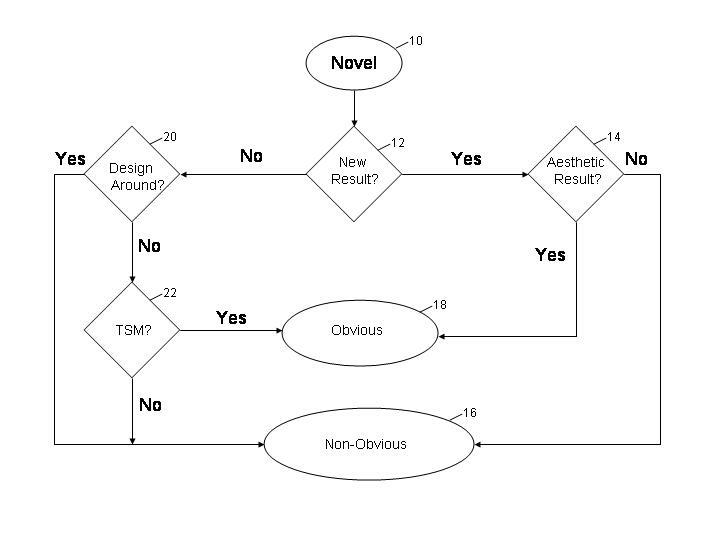 This is my second post on the nonobviousness standard for patents (35 USC 103). The earlier post focused on the practical questions that an inventor and his attorney face when negotiating with the Patent Office (PTO). 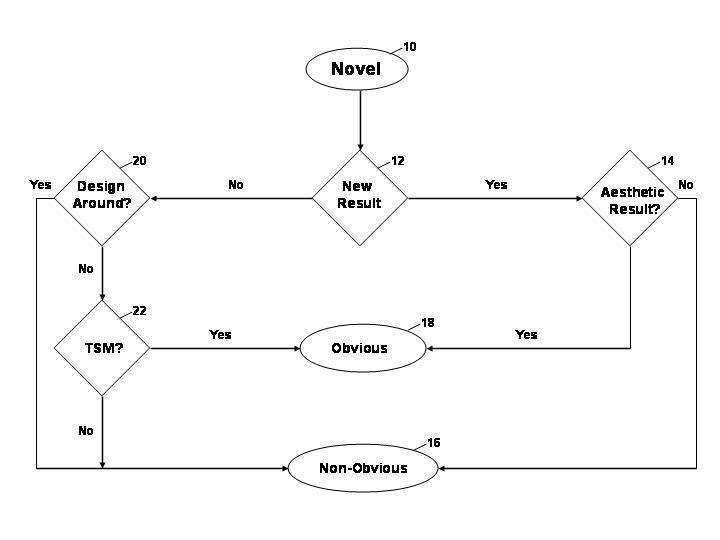 This post attempts to provide a rational approach to the nonobviousness requirement.